This book stands apart from other staff training manuals. 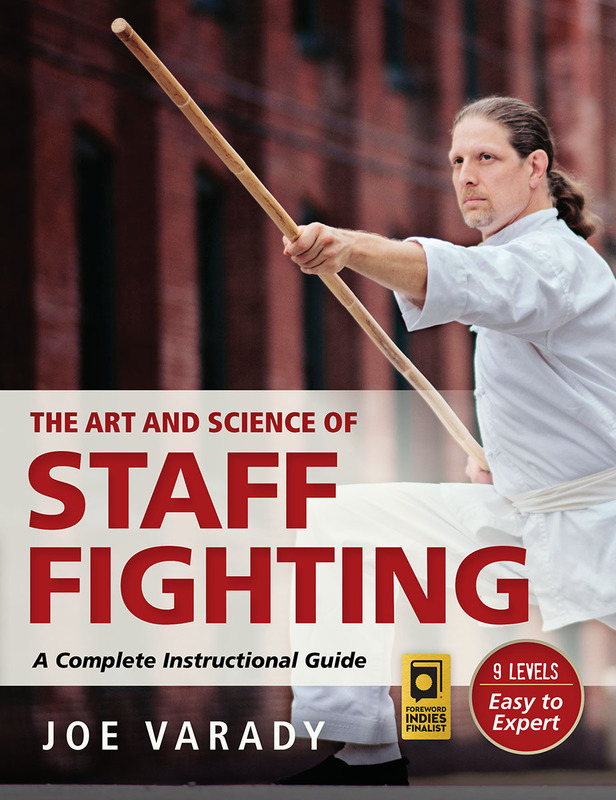 While most titles focus on forms and twirling, The Art and Science of Staff Fighting emphasizes the dynamics of combat. The author draws on thirty years of martial experience, presenting the best of both Eastern and Western traditions. Joe Varady lays out a comprehensive course of study in nine levels, from beginner to expert. He guides readers through such fundamentals as stances, striking, blocking, and footwork. In advanced lessons, readers learn disarming techniques, groundwork, and facing multiple opponents. But this book is not just for staff enthusiasts. Even those unfamiliar with martial arts can adapt these techniques, increasing their skill and confidence in defending themselves. Equipped with this knowledge, readers will begin to realize that, in one way or another, they are nearly always armed and capable of defending themselves. If you are already a student of the staff, these lessons will not conflict with your katas or current style. Instead, they will augment your techniques, broadening your options. Whether you are an experienced staff fighter or a layman seeking practical techniques for self-defense, The Art and Science of Staff Fighting will help you develop the skills you need.